It is a BEE-YOO-TI-FUL day today! Finally! Since this is some straight-up grilling weather I thought I’d share a yummy, easy side for a BBQ. While I am partial to Queen Ina’s classic mac & cheese (oof! those photos on older posts!) – I liked this recipe because it’s quick, super creamy, and with the addition of spices has a little kick that would go perfect with a big ole’ slab of ribs. The individual cups are cute for a party, but you could certainly just bake it in a dish if you’re not feeling cute. Get at this y’all! I’m headed outside, woo! Preheat oven to 400 degrees. Butter the insides of a muffin pan, all 12 spaces. In a large pot of boiling salted water, cook macaroni until al dente and drain. Meanwhile, in a large saucepan over medium heat, bring milk to a boil, being careful not to burn. Reduce heat to medium-low and add the cream cheese, cut into cubes and stir until melted. Gradually stir in cheddar, holding out 1/4 cup for topping, until melted, 5 minutes. Add cooked pasta and seasonings, mix well. 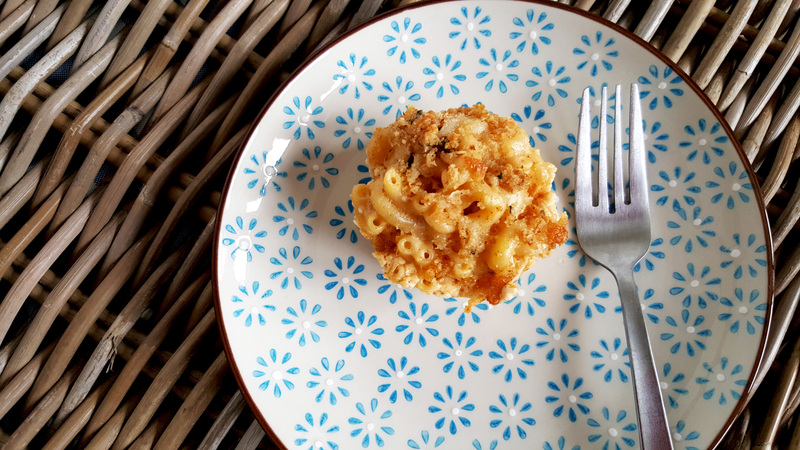 Taste the mac & cheese here – I almost always shake a little more of this, and a little more of that – until it tastes exactly the way I want it. Divide the noodles into the muffin pan equally, should fill all 12 spaces. Finally, melt the 1 tbs of butter and combine with breadcrumbs and 1/4 cup cheddar. Throw this yummy mixture on top of the mac & cheese cups. Bake until bubbling, 12-15 minutes. Let them sit for about 10 minutes before removing so they solidify just a bit. 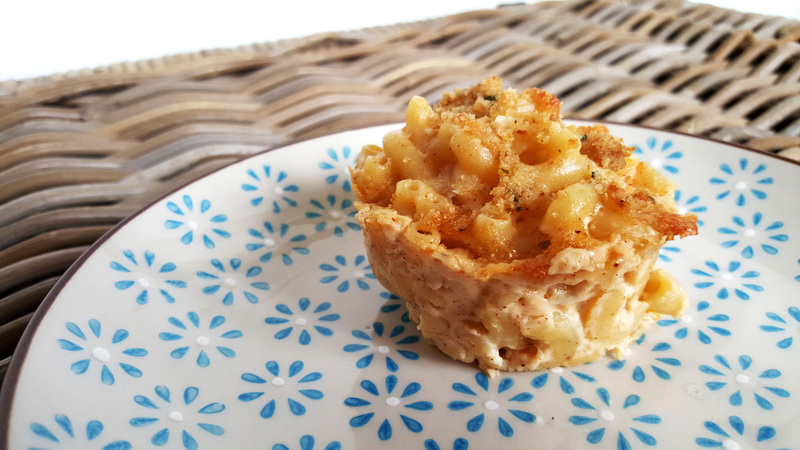 Use a pairing knife to go around the sides, and remove the mac & cheese cups with a spoon – should come out pretty easily. Serve right away, receive high-fives. I got this recipe from Ms. Martha, but tweaked some things here and there. One of my favorite recipes from Ina is her adult mac and cheese. Never tried this one. LOVE the muffin cup idea!! Debbie after making this recipe for my co-workers we grilled out this weekend and I made Ina’s mac and cheese for the BBQ….sooooooo good! And now my body is 60% mac & cheese.